Can a very proper noble lady find a future with a fossil-hunting man of faith? 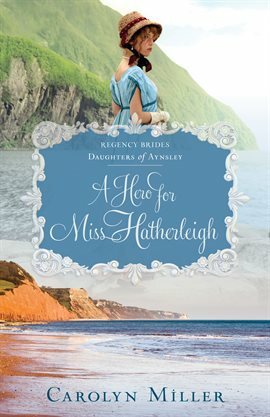 As the daughter of Viscount Aynsley, Caroline Heatherleigh knows every rule of society-and she's always followed them precisely. It's simply the way things are done in her world. When she visits south Devonshire and encounters a fossil-hunting scientist and his sister, her assumptions about what is right are shaken. She is suddenly confronted by questions she has never considered about the importance of friendship and faith-and her comfortable understanding about how the world works is thrown off balance. Gideon Kirby loves science, and hunting down proof of past lives is a joy he won't willingly give up. But his scientific leanings are being challenged by both his personal beliefs and by local smugglers in the Devonshire countryside. And every day his sister's illness is becoming more desperate and her care grows more demanding. Adding a proper Viscount's daughter to the mix is a complication Gideon never expected-especially since he has a secret that demands he stays far away from this young woman he's falling for in order to protect his beloved sister. When a mysterious stranger visits the village, that secret is set to be exposed, no matter how Gideon fights. Then tragedy strikes in a smugglers cave. And the threat of scandal may lead to broken hearts and passionless propriety. Will the shaky bond these two have managed to build be strong enough to overcome their differences-or will the trust they've withheld from each other end up tearing three lives apart? 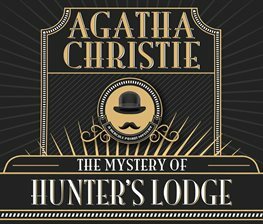 In Agatha Christie's short story, The Mystery of Hunter's Lodge, Poirot and Hastings are enlisted by a Mr. Roger Havering to help investigate the murder of his aristocrat uncle at his hunting lodge. Hastings discusses the murder with the housekeeper on the scene, but Poirot quickly deduces that her story doesn't add up.